Julia Mulligan, North Yorkshire Police and Crime Commissioner, has announced that £3 million is to be spent to improve the 999 and 101 telephone services. ‘The investment is designed to solve the service issues that have arisen, particularly with the 101 number as a consequence of staffing shortfalls and an increase in the numbers of calls made by the public. The investment comes on top of a range of measures that have already been taken, which have reduced average 101 call waiting times from 3 minutes 35 seconds in August, to 1 minute and 6 seconds in February’. (NYCC PCC). 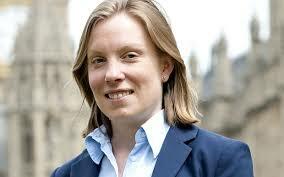 Tracey Crouch MP, the new Minister for Loneliness, will work with charities, businesses and the Commission for Loneliness, set up by MP Jo Cox, will look at tackling the issue of isolation. Independent community healthcare clincs and services are going to be awarded quality health care ratings by the Care Quality Commission for the first time. More here. For details on how to prepare your car for winter driving, follow this link. Weather stations and road cameras NYCC have several weather stations and roadside cameras so that you can check driving conditions. 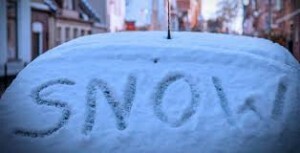 The Met Office has further information for the rest of the UK. 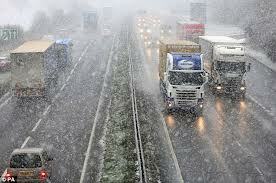 The Highways Agency provides details of any traffic incidents. 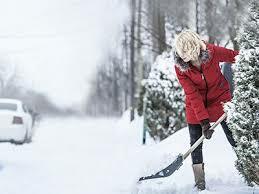 Clearing snow NYCC advises that anyone can ‘clear snow and ice outside their property and public spaces, as long as they are careful and use common sense’. Click here for advice. If there’s a power cut, who do you call? Unless you very organised, when there’s a power cut, there’s a mild panic whilst trying to find a torch or source of light. Then you think, what’s the electricity company’s number? Where can I find it? 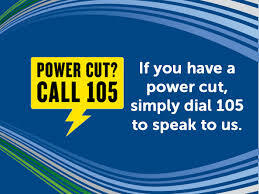 Well, help is at hand, if you experience a power cut just CALL 105 which is the emergency service information line. The call is free and you will be transferred to an operator who can offer help and advice. For further information, follow this link. 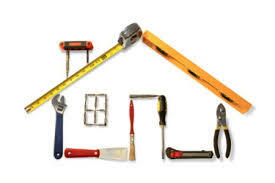 Harrogate Better Homes Grant scheme – Could you be eligible? Grants and interest free loans are available to households in the Harrogate area for home energy improvements to give you a warmer home and lower bills. To be eligible your home must be suitable for insulation or need a new boiler and your total household income must be less than £35,000. (Data Source: Community First Yorkshire). 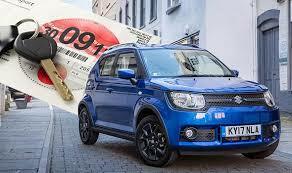 The Driver & Vehicle Licensing Agency (DVLA) is cracking down on drivers who fail to pay Car Tax. Since the abolition of the paper tax disc, the numbers of drivers avoiding paying vehicle excise duty (VED) has increased greatly. The DVLA is planning an advertising campaign to remind drivers and vehicle owners about paying VED and the penalties for not doing so. For further details follow this link. As Autumn arrives, it’s possibly time to check that the central heating, draught-proofing etc. are all working satisfactorily. It could also be a good time to check that your fire alarms are in good working order ….. you do have fire alarms installed, don’t you? Whether or not you have fire alarms, why not ask the Fire Service to check and offer advice? Some older people may be particularly at risk from fire due to health problems or reduced mobility. 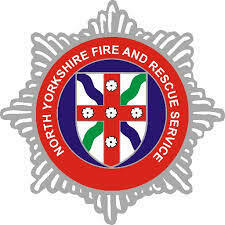 North Yorkshire Fire & Rescue Service has therefore identified older and vulnerable people as a top priority for action. This includes publicity campaigns and direct interventions, with free home safety visits and smoke alarms provided and fitted. For more information go on-line or telephone 01609 788545. Spring is here! Is time to spruce up your car? 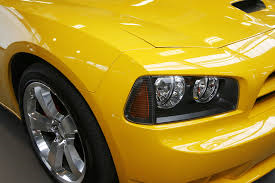 Now Spring is here, you might have noticed how the sunshine is highlighting all the grime on your car. Is it time for a spring clean? Do the seats need a little TLC? Perhaps the alloy wheels could do with a little polish? Here are five tips to help you spruce up your car. Click here. Are you a grandparent? Could you be missing out on extra state pension? The Consumer Association (Which?) suggests many grandparents could be missing out on extra state pension, because they are failing to claim National Insurance credits (NI) credits, which could be worth around £230 a year, according to research from Royal London. Any parents who stop work to look after their children are given NI credits to help them build up a state pension. 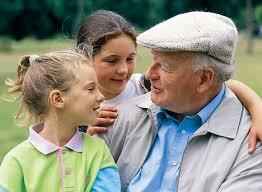 Grandparents, who are looking after children could be losing out. For further details click here. The proposed benefit and pension rates to be introduced from Monday, 10 April 2017 can be found here. 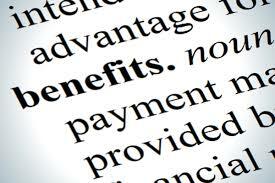 Most personal allowances for working age benefits – JSA, ESA and IS – are frozen as previously announced, but premiums and other benefits, such as disability benefits, are increased by 1%. 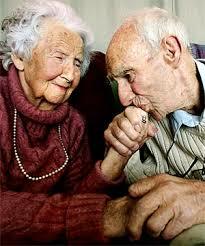 State Pension is increased by 2.5% due to the triple lock agreement. Also see our article on Marriage Allowance (below) and on our ‘Blog’. Over two thirds of eligible couples do not claim Marriage Allowance! 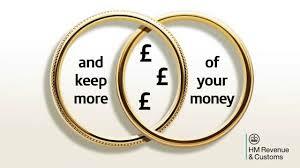 If you’re married or in a civil partnership, you don’t earn anything (or your income is under £11k) and your partner’s income is below £43K, you are eligible for marriage allowance. This lets you transfer your personal allowance of £1100 to your partner, thereby reducing their income tax by £220. Feeling the pinch after all your Christmas expenses? 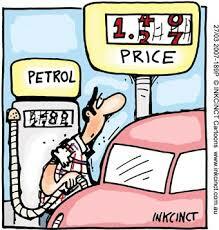 Now might be a good time to explore the internet and see how you can save money on every day expenses, such as ….. petrol. Follow this link to a website which can provide the latest news about motoring (see our ‘Alerts’ page about car insurance and scams), sign up for a newsletter and you can also find out whose selling the cheapest petrol in your area. You’ll have to tell it where you are of course, or it won’t work! 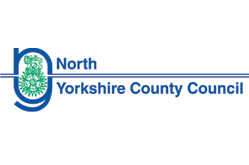 Driving Safety: North Yorkshire County Council (NYCC) provide advice about driving safety during winter. Could you be entitled to a free new boiler? 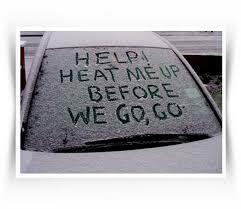 While we may currently be enjoying nice warm summer temperatures, it is time to consider preparing for colder weather. Is your boiler is good working order? Has it been serviced recently? No w could be a good time to check this. 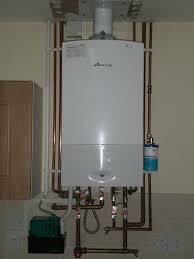 If your boiler needs replacing, you could be entitled to a free replacement. Follow this link to find out more. 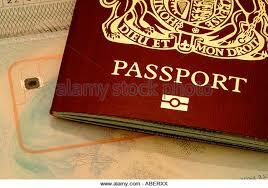 If you’re travelling to the United States of America, you will require an ‘biometric’ passport. The Guardian newspaper has reported ‘Tens of thousands of British tourists heading to the US have been warned that they risk being turned away from flights to the country unless they hold the latest biometric passports. Anyone flying to the US for business or pleasure must now hold a passport that contains an electronic chip – even if they have been granted an electronic visa’. For further information about the situation, follow this link to advice from the US Embassy or UK Passport Office. More than 10,000 people aged 55 and over were diagnosed with malignant melanoma in one year, according to Cancer Research UK. Make sure that you are aware of the latest advice about safe sun exposure. The National Institute for Clinical Excellence (NICE) has issued its new guidance about sun exposure. You can read about ‘at risk’ groups of people and its recommendations for exposure and skin protection, as well as some ‘myth-busting’ facts. By the way, did you know that the star rating of a sun tan lotion should arguably be the most important influence on your choice of sun tan lotion, as it indicates the types of sun-rays that it blocks. The next most important consideration is the Sun Protection Factor (SPF) which indicates the strength of its ability to block sun-rays. Do you know how much lotion should be used? Read the guidance for further advice. Nowadays we use boarding passes, loyalty cards and even direct debit cards stored on our phones – so why not store our driving licence too? 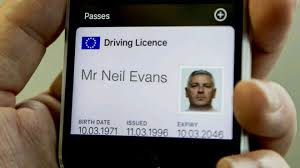 The DVLA is looking at producing a digital driving licence which can be stored on our phones. Find out more ….. There have been several highly publicised data breaches recently. So, what can you do to check if your data is safe? If you follow this link, you can find a quick and easy way to find out if you are at risk. Protect your data for the future by following this advice. From 1 April 2016, there will be an increase in prescription, wig and fabric support charges, and in optical voucher values. There is more information about the charges on the Department of Health website. Were you aware of the Friends and Family Test (FFT)? 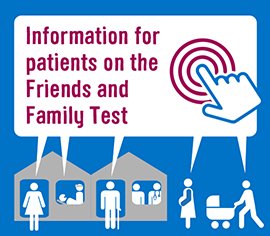 NHS England is keen to raise public awareness about the Friends and Family Test. The FFT is a quick and anonymous questionnaire designed to give NHS patients the opportunity to give feedback each time they receive care and/or treatment. The feedback to date has been analysed and evaluated, so that appropriate changes, if necessary, can be made to the whole range of NHS services including hospitals, GP surgeries, dentists, patient transport, mental health services etc. From maternity wards to dental practices, the results of the national Friends and Family Test awards show that NHS providers are listening to patient feedback and services are continuing to improve because of it. Visit the NHS Choices website for more information about the Friends and Family Test. If you were asked to, could you describe what good care is? The Care Quality Commission (CQC) has published leaflets which help to define good care in five key areas: hospital, care home, home care service, G.P. and dentist. There is also advice about what to do if you experience poor care. Want to keep up-to-date with the issues affecting older people? One way of keep up-to-date with what’s going on about a particular topic or focus of interest is to subscribe to an organisation’s newsletter. 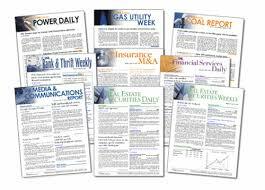 These are usually free and include progress reports and the latest news. Here are a few examples of some newsletters which may interest you. 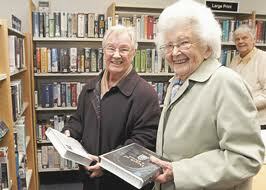 To find more suggestions, go to our ‘Older people’s Issues’ page via the publications page. This report details the results of this research and sets out how divergent the experiences of later life are for different people. Together with the interactive report it brings to life people’s stories about how they experience and feel about later life. It explores how the three dimensions of a good later life – health, financial security, and social connections – contribute to overall wellbeing. The power of love is explored in a new exhibition. 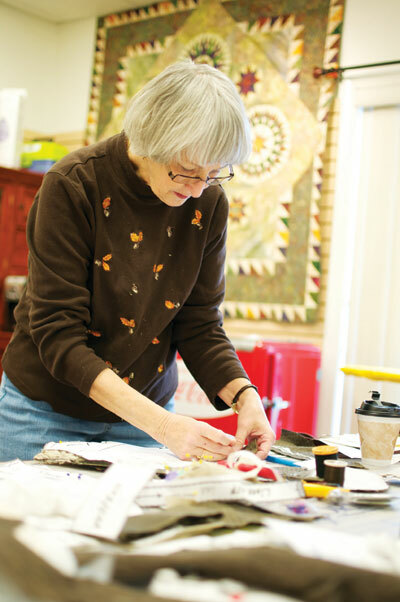 ‘Every day was a happy day': older people talk about love lost and found. Follow this link to hear some of the people who participated in Love Lived, a collaborative exhibition combining video and photographs capturing their stories and thoughts about love. The media have reported a poor uptake in the offer of free NHS Health Checks. Adults aged 40 to 74 – without previously diagnosed heart disease, diabetes or chronic kidney disease – are invited for a free health assessment. The check aims to identify those at risk of serious, but potentially avoidable, conditions such as heart disease, stroke, diabetes, kidney disease and certain types of dementia. In a new report published on Thursday (28 January), the Commission on Improving Urgent Care for Older People has reported the way care for older people is organised and delivered needs to suited to the needs of the individual rather than institutions.’The commission outlines eight key principles the health and care sector can adopt to improve urgent care for older people. They include starting with care driven by a person’s needs and goals, having a greater focus on proactive care and allowing local leaders the space to build relationships and sustainable solutions’.To find out more about its report ‘Growing Old Together’ and the eight guiding principles, click here. Protecting yourself against the cold is important, whatever your age, but it is particularly important if you are an older person, disabled, or have a long-term condition. There is a lot of good advice on winter health on the NYCC website. Warm & Well in North Yorkshire is a new partnership of charities and organisations to help people who live in a cold home, struggle to keep themselves warm or to pay energy bills, fall ill frequently from the effects of always being cold or find themselves feeling low or depressed because their home is difficult to keep warm. Find out more. There are lots of excellent lunch clubs for a good hot meal and coffee mornings for a warming drink and friendship across Harrogate District, many listed on the HARCVS website, as well as those listed on our ‘Forum Events‘ page. 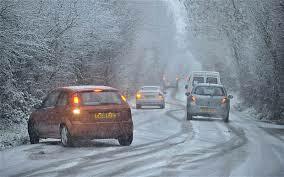 Voluntary Drivers in Harrogate & Knaresborough andRipon & Rural areas help get people out and about. There is always a need for more volunteer drivers, for anyone with a few hours spare. 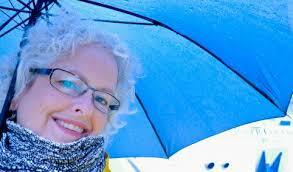 Tax Help For Older People is concerned that older people may be paying too much tax. 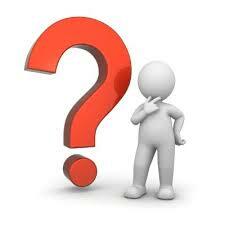 Are you aware of all the allowances to which you may be entitled e.g. marriage allowance, blind person tax allowance which could be worth £200 per annum. Click here for further information. 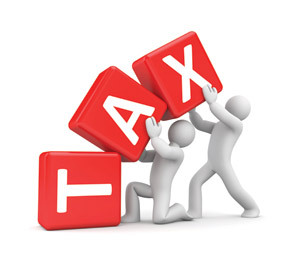 If you are concerned that you may have missed the deadline for submitting a paper tax return ….. don’t panic. You have until January 31st and, if you need help, follow this link for advice. The Yorkshire Dales are in the news ….. highlighting the cuts to local bus services. To find out the extent of the problem, follow this link to an excerpt of the BBC’s ‘Country File’ programme. To check if your bus route has been affected click here. 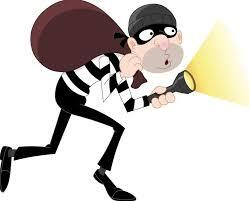 Did you know that burglaries go up by 28% at this time of year? Also are you aware that home burglary claims are not valid without evidence of forced entry? For advice about how to stay safe and protect your home and property, see our ‘Alerts page’ and check out our ‘Blog’ page. By the way, how safe are your spare keys? 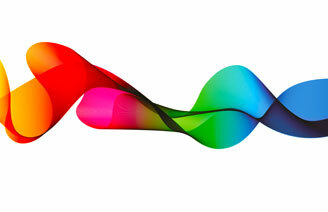 Centre for Ageing Better – Major new insight into later life in 2015. Social connections are as important as money and health to a good later life, according to a major new study published by the Centre for Ageing Better. The study reveals the strong links between health, financial security and social connections in determining whether we enjoy our later life. Read more. 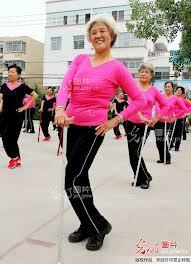 Learning can help people respond positively to the challenges of ageing. NIACE’s policy paper ‘A better future for us all’, outlines the benefits, to individuals and society of older people’s learning, and proposes that all the relevant agencies should come together at local level to review needs and opportunities, and look at how the quality and range of those opportunities can be improved. Read more. New Office for National Statistics report highlights life expectancy picture across England. This new report, produced in conjunction with Public Health England (PHE), has provided data on life expectancy and healthy life expectancy across England. Read more. Care leaders say that vital care services for older and disabled people in England remain at risk despite government attempts to protect the sector. Read more. 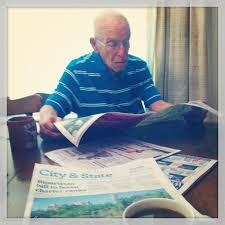 Older People in Society – catch up with the latest selection of interesting articles Also available on our ‘Publications’ page. Guest blog – Winter Loneliness: What can be done to prevent the rise? Here is an opportunity to view this animation again as it’s worth another look…. Aardman and the Bristol Ageing Better (BAB) have teamed up to create a short film illustrating local older people’s experience of social isolation in the city, and what they can do to be less lonely. Click here. ‘The answer was clear – people said that they wanted to play a bigger role in looking after their own health and care and had clear views on what would support them to do that’. ‘By analysing over 11,000 conversations the Healthwatch network has had with the public about this issue, we found five common areas where people wanted to see improvement’. To find out what people said, follow this link. Local NHS reminds people in the Harrogate and Rural District to Catch it! Bin it! Kill it! 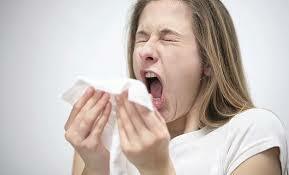 It’s important to minimise the risk of catching and transmitting ‘flu’. Healthwatch is advising people about how they can reduce the risk. Follow this link for further advice. 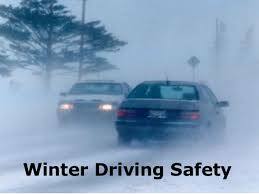 Winter’s coming ….. are you prepared for safe winter driving? 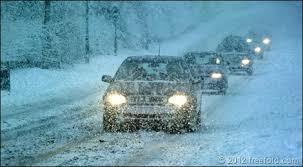 U-Switch has provided some really useful tips for ensuring your road worthiness this winter. Follow this link for further advice. 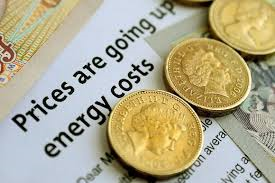 Could you be entitled to a £140 discount on the cost of your electricity bill? If you are a pensioner on a low income (eligible for Guarantee Credit top-up) or disabled with a low income, you could qualify for the discount. 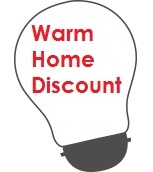 Most eligible individuals will get the warm-home discount automatically, but if you haven’t heard from the Department of Work & Pensions, you should contact your electricity supplier. The deadline for claims is January 29th 2016. For more information follow this link, or call the Home Heat Helpline on 0800 336699 or call your electricity supplier. Have you been asked to change your direct debit details recently? Have you received a communication asking you to change your direct debit or standing order details recently? A new scam involves fraudsters’ intercepting direct debits and stealing large amounts of money. 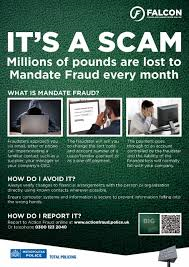 So called ‘Mandate Fraud’. To find out more, please see our ‘Alerts’ page. United Kingdom Homecare Association (UKHA) has produced a report ‘Dementia & Homecare: Driving Quality & Innovation’, which forms part of the Prime Minister’s Challenge on Dementia, and is designed to help deliver the Government’s key ambitions outlined in the new Challenge for 2020, where it is cited. It seeks to provide clear, practical ideas and suggestions to further dementia care in the community, suggesting what is required and who should be involved. Through a series of innovative practice examples, the report demonstrates how skilled homecare can play a pivotal role in enabling people with dementia to live well in their preferred familiar environment. It shows why good homecare should be at the heart of policy decisions now and in the future. To read the report, follow this link. However, on a more practical level, what can individuals do to improve the quality of life for people with dementia? When they Get Older have a produced an interactive house plan, which could help individuals identify possible hazards about the home and ways to minimise risks for people with dementia living at home. ‘TrustedCare.co.uk has launched a live Care Quality Map for England with County league tables of social care providers across England. The map and tables offer a view of local social care markets across England, using data from the Care Quality Commission and their own research, to create a tool that could provide information to care users and their loved ones about the position of their local market and the operators within it. Individual County pages provide information including the total number of care providers locally, how many services are meeting industry standards, how many providers require improvement, are rated inadequate or have not yet received a CQC inspection’. The mental health sector comprises a number of inter-related services covering a range of different conditions which together create a system of care. This briefing paper aims to focus on mental health as a system of care, examining individual pressures within the wider context of provider and commissioner actions. Although services for children and adolescents, and older people are very much part of this system of care, this briefing paper focuses on services for adults between the ages of 16 and 65. To read the report in full, click here Also listed on our ‘Publications’ page, together with the Care Quality Commission’s response to the report. Are you a worried TalkTalk customer? 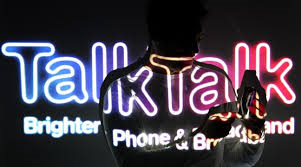 It’s headline news that TalkTalk has again been a victim of a cyber attack resulting in the theft of 4 million customers’ details. If you are one of them, what do you do? Go to our ‘Alerts’ page for advice. Who’s information is it, anyway? A new investigation by the Consumer Association (Which?) has highlighted some disturbing facts about our health data and its privacy. While there are benefits to sharing health data electronically, many people are highly concerned about the security of our medical information and how it’s shared. One example of the controversy related to trying to collate, store and disseminate health data appropriately has been epitomised by the care.data project. But this is just one of many schemes being attempted. If you are concerned about who has access to your health data, you could check with the healthcare professionals with whom you have contact. If you haven’t yet made a will, or you need to amend an existing simple will, now is the time to do it. In association with various charities, some solicitors are participating in a scheme for ‘free’ wills, this month. To find out more click here. 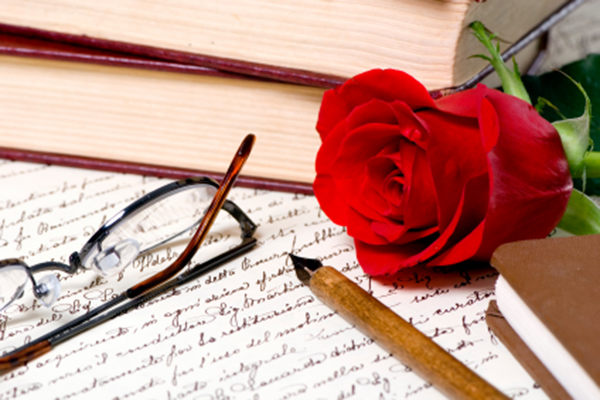 Also November is Will Aid month, which is another scheme for providing wills more cheaply. Harrogate Easier Living Project (HELP) has launched a voluntary car driving service for residents of Harrogate, Knaresborough and the surrounding villages. The care and support where I live strategy will underpin the NYCC’s plans to 2020 and beyond for the provision of care and support where people live. ‘Older people want more control and choice over their support; want to live independent lives in their own homes; and want to remain part of their local communities for longer. We have used the feedback from local people as well as from district and parish councils and housing providers to help us develop the strategy. The strategy sets out our proposed approach of working with a wide range of partners and local communities to deliver better results for people and value for money, with a focus on how it can help people live within the community for longer with the appropriate support’. Follow this link for more information. NHS Enlgand has published ‘Our Declaration’ which states the importance it places on person-centred care for those people with long-term conditions. The NHS England’s Long Term Conditions Team is interested in your views. Please see our ‘Have Your Say‘ page for details. If you don’t believe it ….. just click on this link to the Daily Telegraph. Some really inspiring feats. 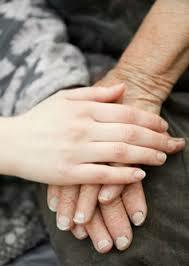 There is a website designed to help people who are trying to care for elderly parents and relatives. It aims to support those who are new to the role and also provides lots of advice and free guides. Follow this link to the ‘When they get older‘ website. This month sees an increase in the single payment limit. To find out more about this technology and how to ensure your security, see the ‘Alerts’ page. From October 1st 2015, big changes to consumer legislation come into force. Make sure that you are aware of these changes by following the link on the ‘Alerts’ page. 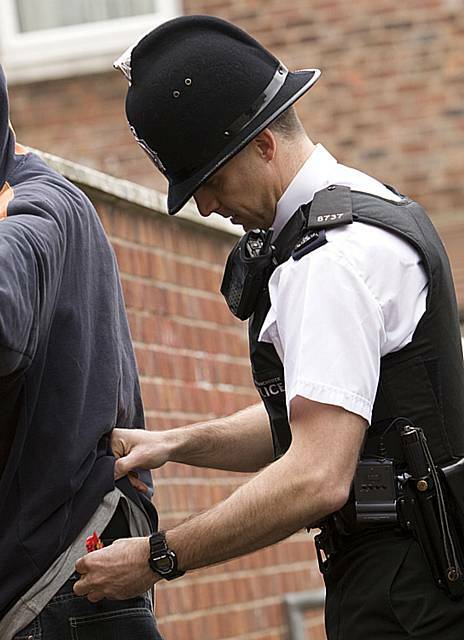 Could you be a part of the North Yorkshire Police Stop and Search Lay Observer Scheme? The Best Use of Stop and Search Scheme requires police forces to provide opportunities for members of the public to accompany police officers on patrol when they might deploy stop and search powers. if you might be interested in participating in the scheme, please follow this link. 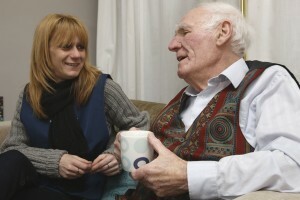 Older people’s issues regularly feature in the media. Here is a selection of interesting articles which appeared in the Guardian newspaper during August. A new Consumer Ombudsman service is being launched in response to a growing number of complaints in sectors which have no ombudsman service. According to the Consumer Association (Which? ), the new Consumer Ombudsman will accept all consumer complaints about retail companies, home maintenance, improvement or installation services, second-hand cars, car repairs and car servicing. For further details of how to use this service, follow this link. Following the announcement in June that people would need to obtain a DVLA code prior to hiring a car (see item below on this page), there has been much confusion about the process. Initially the codes were only valid for 72 hours, which meant that trying to hire a car abroad was particularly difficult. Now the code duration has been extended to 21 days in order to facilitate the process. For further details, follow this link. From September of this year, the vaccine will be offered to all 70 year olds and the catch-up programme of vaccinating 79 year olds will be extended to include 78 year olds. This is part of a programme which will eventually aim to vaccinate all 70-79 year olds. Public Health England has stated that those individuals who were eligible for vaccination in the first two years of the programme, who had not taken up the offer, would still be eligible. However, if they are now over 80 years of age, they will no longer be eligible, because the efficacy of the vaccine decreases with age. For further advice, click here. 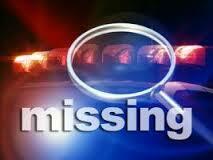 The police have devised a new scheme to help speed up the process for finding missing dementia sufferers. The Herbert Protocol is a national initiative designed to provide the police with quick detailed information about the missing person’s background and history. Follow this link to find out more. The County Council is encouraging everyone between the ages of 40-74, who has not been diagnosed with heart disease, chronic kidney disease or diabetes to consider having a free health check. This is so that people who may be at risk of these and other potentially avoidable coniditions may be identified. For further details, follow this link or visit your GP. Despite concerns about privacy concerns NHS England is to restart the extraction of patients’ data from GP surgeries. The project was suspended at the end of last year following concerns expressed by an independent watchdog which highlighted 27 questions about the security of patients’ data. The project was suspended during the run up to the general election. Update: A warning has been issued about destroying paper driving licences. Make sure that you understand the latest advice about whether or not you should keep your paper licence. Do you understand the new pension rules? Many people are unclear about what the new pension rules mean for them. Where can you go for advice? Among other organisations, the Consumer Association (Which?) and the Money Saving Expert (MSE) offer impartial advice about the new rules. Planning to hire a car for your Holiday? 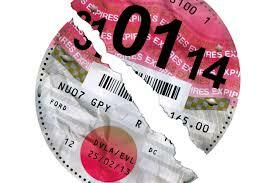 From October 1st, new rules about road tax discs and the payment of the tax come into force. The paper discs will be replaced by an electronic record. The aim is to cut down on administrative costs and tax avoidance. The changes could make buying a car more expensive. 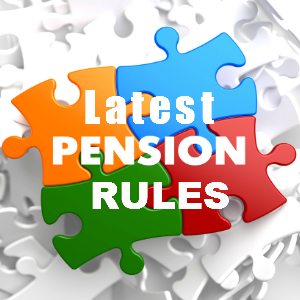 From April of this year, the Government has announced new rules regarding pensions. There has been a move towards allowing pension holders a greater freedom about managing their savings. There are lots of sources for advice about these changes, including: the Money Advice Service, HMRC, and the national press. With such big changes come opportunities for the pension holders, financial advisors and unscrupulous individuals who seize the opportunity to make a lot of money. This ‘Pension Scam’ leaflet includes case histories of two victims. Be warned! The scammers are out there. Read this advice from the Pensions Regulator and ensure you don’t become a victim. Further advice is available from the Money Advisory Service. For a comprehensive overview of all types ‘scams’ follow this link. The Later life newsletter provides latest news on policy changes, good practice and initiatives and their impact on older people. The April edition is now available. If you would like to read about Older People in Society, here is a selection of interesting articles. Follow this link to access the articles..
Last week the EastCoast train service was taken over by Virgin Trains East Coast. Virgin promises more frequent services to more destinations. Check their website for cheap tickets, mobile phone apps and registration for collecting Nectar points. Pension reforms came into force in April 2015 giving the over-55s the freedom to cash in their pensions. 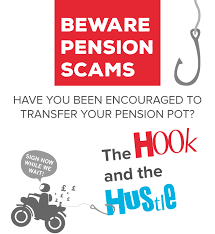 Scammers will try to take advantage of any confusion surrounding your new pension options. Never be rushed into making a decision. A lifetime’s savings can be lost in a moment. The Which? guide tells you how to avoid potential pension scams. The controversy surrounding the NHS care.data project continues, as concerns about ‘opting-out’ continue to escalate. An article in The Guardian newspaper has highlighted some disturbing facts about the data-sharing project. The Health and Social Care Information Centre (HSCIC) has disregarded tens of thousands of requests by patients to opt-out of the health service’s system of sharing medical records. While guidelines from the NHS originally assured patients that their care would not be adversely affect by opting-out, officials have now admitted that that this is not the case. “The HSCIC is committed to contacting all the individuals who have laid an objection to ensure they fully understand the current implications of this objection and offering a solution which would not impact on their direct care”. Under revised guidelines, the option to opt-out has been removed. This has led to some angry remarks being voiced by opponents to the scheme who suggest that, not only has the scheme been badly mishandled, but patient privacy and confidence in the NHS has been severely undermined. Ultimately it would appear that patients have been coerced into accepting the care.data scheme, because they fear their healthcare could be adversely affected if they don’t. February update: The Government has been told to make it easier for people to opt-out of the care.data database. The pilot scheme has also been postponed until May, amid concerns about privacy and wider use of the data. Alert! Doorstep crime and scams – rate triples in one year! In one year, the rate of credit card fraud has tripled. People have been swindled out of their savings by fraudsters pretending to be from their bank or other financial institution. They contact people via telephone, e-mail or coming to their home. 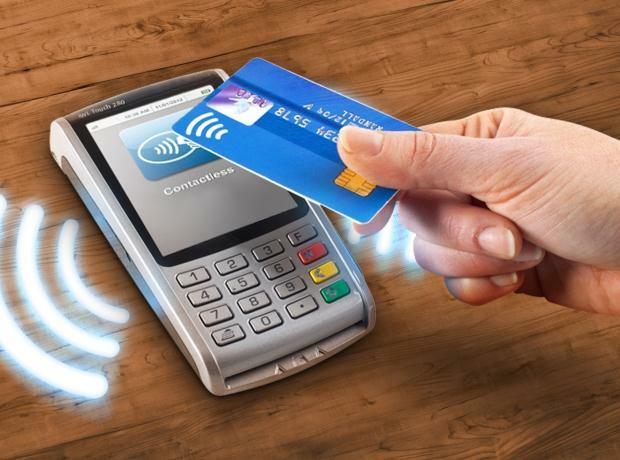 They then state that a card has been used in a fraudulent transaction or that the owner’s security has been breached. The fraudsters then insist on checking the card and PIN number or offer to take the credit card to the bank to sort out the problem. They use any number of ruses to get individuals to part with their banking details. It’s also time to remind people about the risk of doorstep crime and bogus callers. Someone might call at your home pretending to work for a utility company (gas, electricity, water etc) and insists that they need to come into your home to check the supply and then steals your property. Don’t let anyone into your home until you have checked their ID. If necessary, close the door and telephone the company to check. NYCC provides excellent guidance on how to protect yourself. 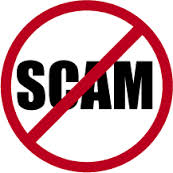 For the latest scams, please view our ‘scams’ page. 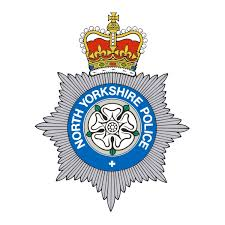 North Yorkshire Trading Standards (NYTS) is keen to tackle doorstep crime and needs people to report incidents of this crime. They are interested in flyers you may have received, reports of traders touting for custom and also would appreciate assistance in identifying any vulnerable adults in your neighbourhood. The NYTS can provide a ‘No cold callers’ sticker for your front door. The NYTS can be contacted via the Citizens Advice Consumer Service on 08454 040506. According to recent research, people who have a sense of well-being in life tend to live 30% longer than those who are least satisfied in life. In a study of 9,000 English people with an average age of 65, the researchers found that ‘people who felt in control, doing something that you feel is worthwhile, and having a purpose in life’ lived longer. ‘Over the next eight and a half years, 9% of people in the highest well-being category died, compared to 29% in the lowest’. According to Professor Andrew Steptoe, Director of University College London’s Institute of Epidemiology and Health Care, “the findings raise the intriguing possibility that increasing well-being could help to improve physical health”. To read more, follow this link. Visiting Italy? Sight-seeing has just become more expensive. If you’re thinking of going to Italy on a cultural trip to visit the state-owned heritage sites and museums, be warned that the Italian government no longer allows free admission to people over 65 years of age. Free admission for the over 65s is now only available on the first Sunday of every month. However, be prepared for the venues to be crowded, as free entrance is available to everyone on that day. 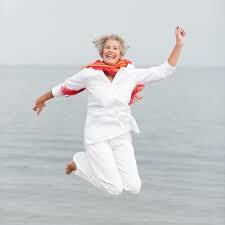 This generation of over 50s is leading subtle changes in society by demonstrating positive images of ageing. Read all about it here! The LaterLife Challenge recognises great examples of how the nation’s over 50s are making the most of retirement. The LaterLife newsletter provides the latest news on policy changes, good practice and initiatives which impact on older people. Click here for the website. Are you interested in the vital statistics of Yorkshire’s health? Do you know if the people in North Yorkshire are healthier than those in the rest of the country? Are they living longer? Do they smoke more? Drink more? Eat more Yorkshire puddings (sorry!)? Each quarter, Public Health England produces a report called the Health Profile for North Yorkshire. If you would like to read the August report follow this link from Healthwatch. You can also view previous reports and those from other parts of the county. Or you could compare the local results to those of another part of the country by clicking here. Ever wondered what happens to complaints about healthcare provision? Members of the public and service providers are now able to go online to see the types of complaints the Parliamentary and Health Service Ombudsman has investigated. The Parliamentary and Health Service Ombudsman has launched an on-line publication of some of its case summaries completed in February and March of this year. 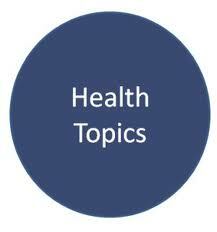 It is possible to search by geographical location, healthcare facility and type of complaint. Click here for further details or follow this link to the case summaries. 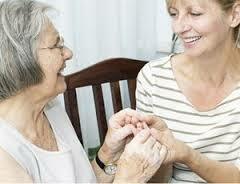 To find out Who’s Who in health and social care consult the guide on Involve’s website. Overall 1.27 million people receive some form of local council care. However, this reflects a reduction of 500,000 since 2008-9, despite a rise in the numbers of people needing care. This reduction of 30% is a result of local councils’ rationing care, by increasing the eligibility criteria to only those who are in the greatest need. Millions of people who require some degree of help with the activities of daily living, such as washing and dressing, are not receiving the support they need. It has been reported that figures from the Health & Social Care Information Centre (HSCIC) indicate that one in four people who receive care still feel lonely. Following the phasing out of the Liverpool Care Pathway (LCP) on July 14th, new guidance has been issued in England which focuses more on care, rather than following a pathway. The emphasis is on providing tailor-made care for the individual, agreed by all those involved in delivering that care, together with others identified as important to the dying person. Ripon Historical Society and Ripon library present “Ripon at War (1914-1919), an illustrated exhibition”, from Monday 4 August 2014 until March 2015 in the reference area of the library. The exhibition is free and shows the impact on life in Ripon during the first few months of the War. Open Data – how will it affect you? 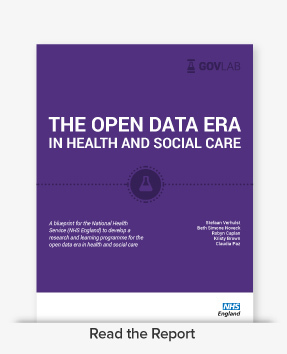 ‘NHS England and The GovLab at New York University have jointly created a blueprint – The Open Data Era in Health and Social Care – to accelerate the use of open data in healthcare settings’. (Quoted from GovLab accessed 10.6.14). The report describes how data from healthcare providers and services, as highlighted by the care.data project, will be electronically stored and made available to agencies requesting it. Of particular interest to you may be the ‘Privacy’ section on page 38, ‘Safeguards for data sharing in the NHS: the care.data Programme’ on page 39 and also ‘Who is using the data? What is their relationship to the NHS?’ on page 48, which states the patients can opt-out of the care.data project. To read the report, click here For background information about the care.data project and news about what is happening to your medical records, please read follow this link.